Hormones | what are hormones? Hormones - what are Hormones? Let Judy Ponsford's new book guide you through understanding hormones, female hormones, roles of hormones during menopause, and much more. So what are hormones after all? Your body needs hormones to stay balanced and for optimum health. Without a proper hormonal balance, you would wake up in the morning feeling exhausted, angry, disappointed, or gloomy for no apparent reason. Many women do not realize how hormones and hormonal changes can affect their overall general health and wellness as well as their mental and emotional status. Understanding and being knowledgeable about hormones will also help you educate family members about female hormones which will attribiute to better understanding on the subject. This will lead them to be more loving and understanding toward you in times of hormone difficulties. So are you ready to comprehend hormones better? 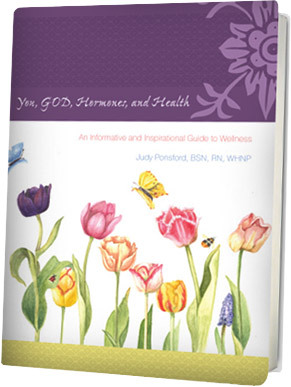 Judy invites you to join the journey of learning about hormones through her book "You, GOD, Hormones, and Health: An Informative and Inspirational Guide to Wellness".